SoilGard™ is a commercial microbial fungicide containing chlamydospores of Gliocladium virens strain GL-21. The formulation is registrated with the US Environmental Protection Agency (EPA) by Thermo Trilogy Corporation, Columbia, Maryland. The biocontrol agent was developed in cooperation with the Biocontrol of Plant Diseases Laboratory (BPDL), US Department of Agriculture (USDA), and is targeted for controlling damping-off diseases caused by Rhizoctonia solani and Pythium ultimum in vegetable and ornamental greenhouses. Formulation requires production of chlamydospore biomass in liquid fermentation which was carried out in 20-L, 1500-L and 4000-L submerged liquid fermentors. Key economic process parameters, fermentation kinetics and the reproducibility of the fermentation at this scale were evaluated and analyzed. 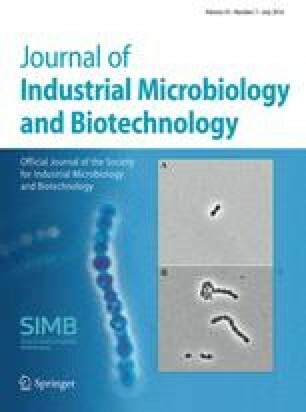 Starter culture quality and maturity of chlamydospores were identified as key issues for obtaining successful fermentations.